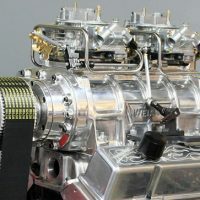 Among the power adders currently used to boost power levels in contemporary performance engines nitrous oxide injection is generally the least expensive and the most volatile. Chemical supercharging rose to prominence in the eighties and its usage has matured into a substantial arm of the performance industry. 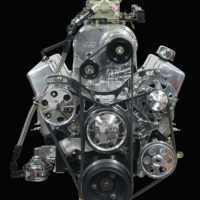 Banned in most forms of professional competition it is primarily used in street applications, drag racing and land speed racing among others. It is enormously popular for the instantaneous kick it provides and its usage is now highly developed. 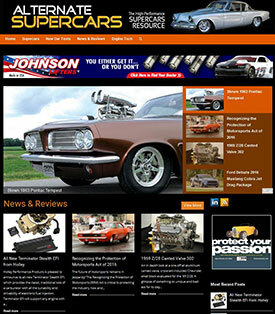 Nonetheless, the perils of nitrous still remain for the uneducated and the uninitiated. 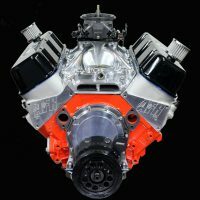 It can still melt spark plugs, shatter pistons and hammer the bearings out of the best engines out there if you don’t follow the rules and employ all the proper safeguards. 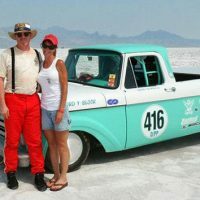 If you’re not up to speed on the particulars of nitrous usage there’s no better place to learn about it than Jeff Hartman’s Nitrous Oxide Performance Handbook. 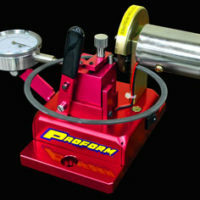 And acknowledged performance expert, Hartman not only walks you through the basics, he also covers all the specifics including a fundamental breakdown of the chemistry and unique characteristics of nitrous oxide. Once you understand what it does and how it works you gain a formidable asset to your performance aspirations. 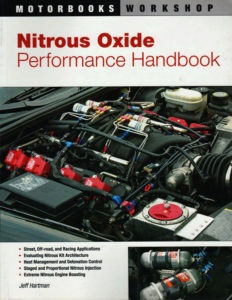 Hartman details the physics, chemistry and combustion properties of nitrous oxide and reveals the enormous potential available when properly applied. 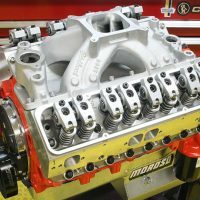 He breaks down the various types of nitrous systems and illustrates their benefits and applications. 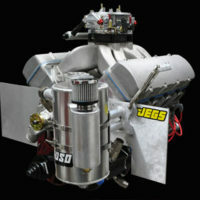 That includes strategies for heat and detonation management and staged and proportional nitrous systems. 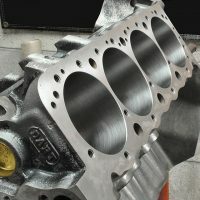 In subsequent chapters, he discusses the tuning aspects of nitrous and how to optimize its performance with extreme and advanced nitrous applications. 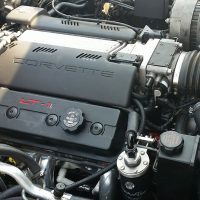 And he wraps it up with a lengthy and detailed discussion of the advanced characteristics and chemical properties of nitrous, how it affects fuel ratios, how it provides charge cooling and other advanced concepts. A frequently asked questions section at the back of the book pretty much covers any questions you might have. 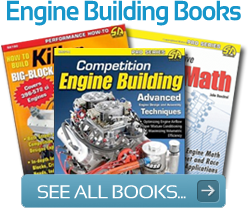 The book is broken down into specific sections so it can easily serve as a tuning reference guide where you can turn the page to the specific requirement you have in mind and find the answer. 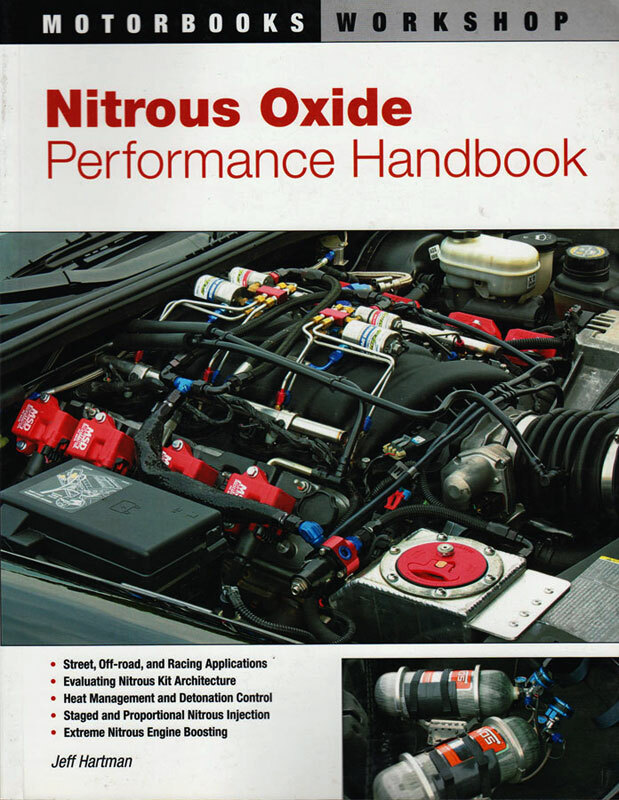 This book delivers the most thorough and well-presented explanation of the chemistry and combustion process that occurs with the use of nitrous oxide and paves the way for novice users to advance quickly and easily to top end systems that deliver incredible performance results. 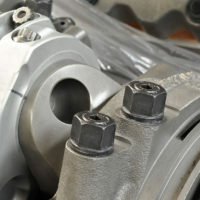 It is very much characteristic of Hartman’s highly competent delivery and a testament to the quality of Motorbooks’ technical presentations.